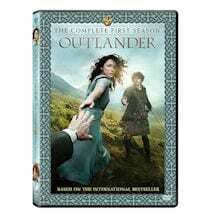 Based on Diana Gabaldon's best-selling books, filmed in Scotland and seen on Starz, this award-winning series features stunning cinematography, first-rate storytelling, and performances that have earned millions of devoted fans worldwide. Caitriona Balfe and Sam Heughan star as Claire and Jamie, making the best of a life apart, facing adversity, mystery, and adventure as they strive to reunite. 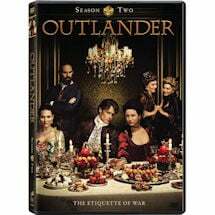 13 episodes, 12 1/2 hrs, 5 DVDs, SDH. Mature content.